A statement, 3D printed, geometric necklace. 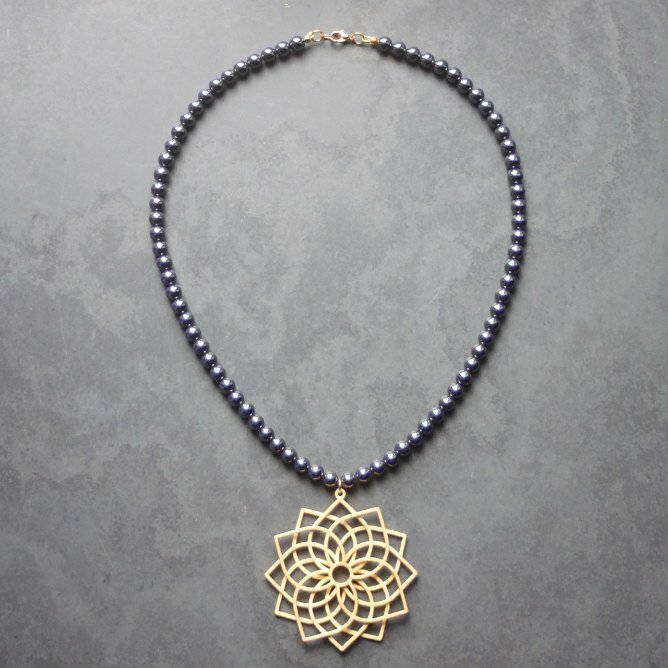 Features a pendant made of gold-plated steel, suspended on a haematite beaded necklace. 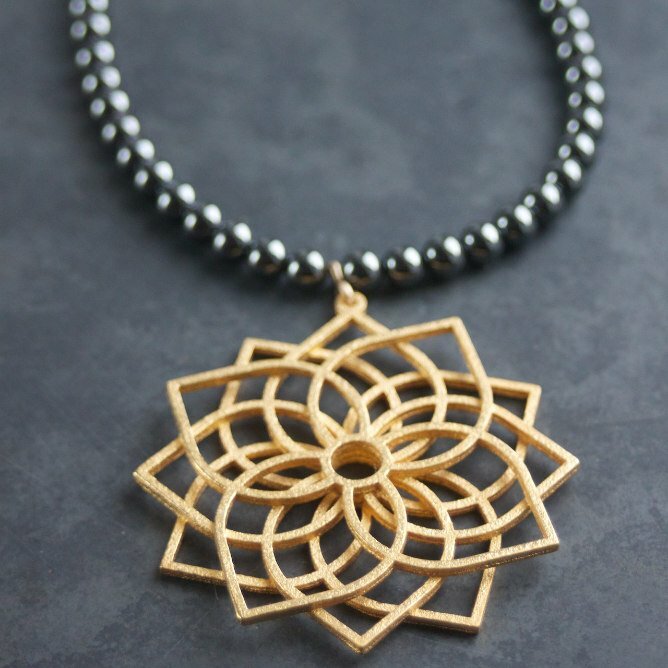 A unique statement necklace with a pendant created with CAD and printed in gold coloured steel. Part of the QUATREFOIL series by Lisa Crockard. 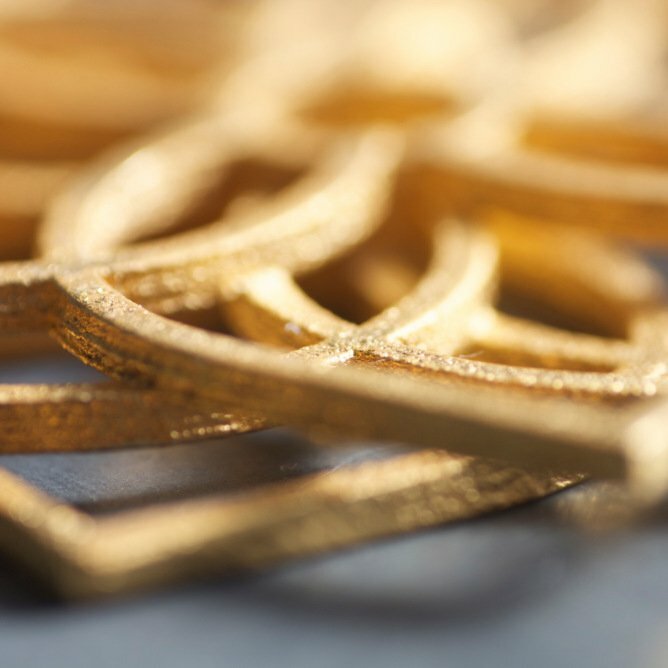 The pendant is part of a series of patterns created with CAD, based on a single shape, multiplied and manipulated, before being printed directly in steel and plated in a fine layer of gold. It’s layered rather than flat, which gives it a nice depth. 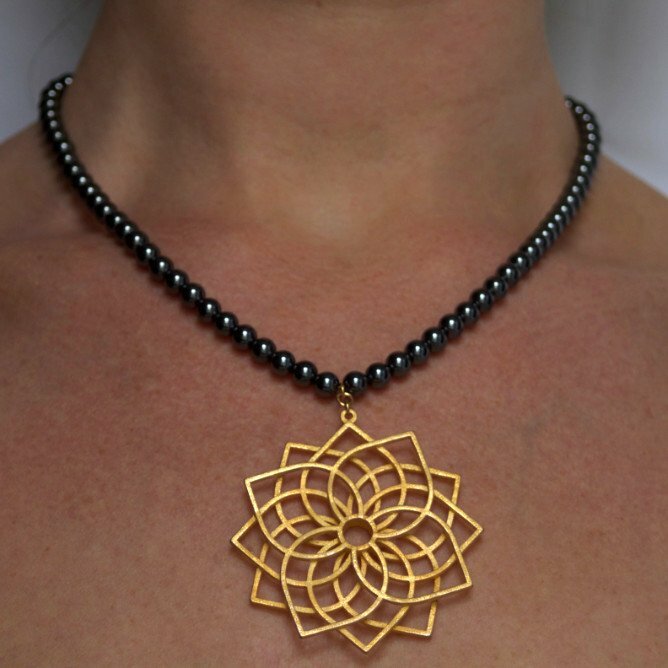 The pendant hangs from a hand-strung row of haematite beads.